Biratnagar (Devanāgarī: विराटनगर) is a metropolitan city of Nepal. According to the 2011 census, the city ranks fourth in population. It ranks second in population density after Kathmandu. 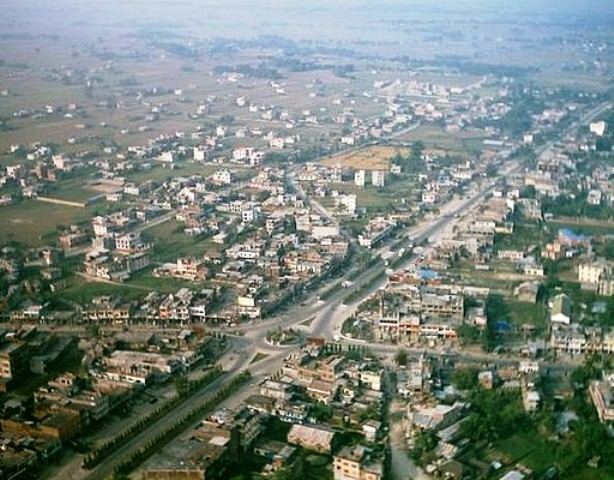 Biratnagar is the industrial capital of Nepal and has a total area of 40.108 mi² (103.88 km²). Its geographical location is 26°28'60"N 87°16'60"E. The city is located in Morang District in the Kosi Zone of the eastern Terai region of Nepal. It lies 399 km east of Nepal's capital, Kathmandu, and 6 km north of the border of the Indian state of Bihar. It lies in the Province No. 1, as per the new Constitution of Nepal 2015. It was declared as a Metropolitan city on 22nd of May, 2017 along with Birgunj. The city is upgraded to metropolis by adding Tankisinuwari and Jahada-3 making the total population to reach 240,000 from current population of 214,000. The old name of Biratnagar was Gograha Bazaar. In 1914 AD, Colonel Jit Bahadur Khatri, the district governor, laid the foundations of modern Biratnagar by moving the hospital, post office, jail and the customs, land registry, forestry and auditor offices to Gograha Bazaar from Rangeli, the district capital of Morang at the time. Biratnagar got its present name in 1919 AD (around 1976 BS) from Keshar Shamsher Rana after objects of historical importance, believed to be of King Virata's time, were found in the place. The region is believed to be a part of the kingdom of Virata, mentioned in the Mahabharata. The ruins of the palace along with stone carved tools, idols, and household objects can be seen protected in the southern part of Biratnagar, close to the border. In Nepali birat means huge and nagar means city. On March 4, 1947, the first anti-Rana movement on Nepali soil took place in Biratnagar in the form of the Biratnagar jute mill strike under the leadership of Girija Prasad Koirala along with Bishweshwar Prasad Koirala. 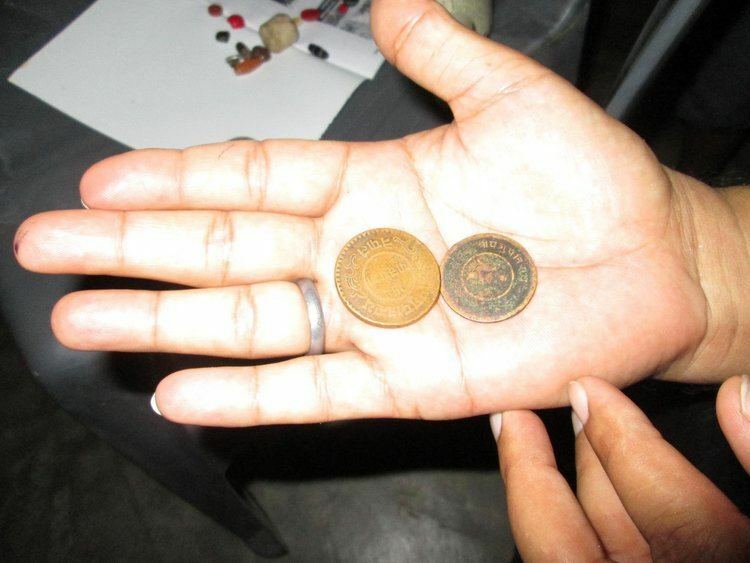 This sparked a countrywide anti-Rana demonstration that eventually led to the abolishment of Rana rule in Nepal. According to 2011 CBS census data, Biratnagar's population was 214,663. It is the headquarters of Morang district. Majority of people are from Bhramin/Chettry community. Most people practice Hinduism followed by Islam, Jainism, Kirat, and Christianity. The main languages are Nepali and Maithili (although the local dialect of Maithili differs from what is spoken further west). English is well understood by the educated mass. Biratnagar is situated within one of the most ethnically diverse regions of Nepal, and the rural hinterland is home to a diverse cross section of communities. The highest temperature ever recorded in Biratnagar was 43.0 °C (109.4 °F) on the 14th of April, 1992, while the lowest temperature ever recorded was −1.0 °C (30.2 °F) in December 1970 and January 1971. Biratnagar is the economic center of eastern Nepal. The First Industry of Nepal "Biratnagar Jute Mills" was established here. Biratnagar is driven by Startup Culture. Golchha Organisation was started in Biratnagar as a small startup and now they have grown to the multi-million house. 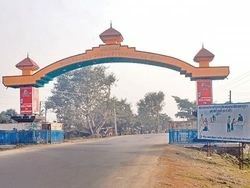 Besides more than 6000 industries, Biratnagar is also connected to major Custom Route with India and is the second largest Land Port of Nepal. Biratnagar is industrial city of Nepal and unemployment is very low here due to large concentration of Industries and Factories. Air: Biratnagar Airport has frequent flights to Kathmandu and other airports inside Nepal. It is the regional hub for the eastern part of the country. Road: Biratnagar is roughly 500 kilometres (310 mi) by road from Kathmandu. It is also well connected to all the parts of the Eastern Development Region including Dharan, Itahari and Dhankuta as well as to most other parts of the country by bus service. Cross-border: Biratnagar is 7 kilometres (4 mi) north of Nepal's southern border with Bihar state, India. The crossing has a customs checkpoint for goods. Indian and Nepalese nationals cross freely. Jogbani town in Araria District is on the Indian side, where a rail line ends. There are direct trains from there to Katihar, Kolkata and New Delhi. A rail extension to Biratnagar has been proposed and surveyed. Intracity: Cycle, motor vehicles, rickshaws, and taxis serve the city center. Auto rickshaws (Tempos) are available for longer distances outside the center. City safari or electric rickshaws are the most used transportation here, connect all parts of Biratnagar, and are very cheap as well as Environmentally friendly. Biratnagar is a hub for explorers of places in eastern Nepal like Ilam, Taplejung, Sankhuwasabha and Panchthar. A number of colorful haat bazaars (weekly markets) are held each week in different parts of the town, where farmers from the rural hinterland set up stalls to trade agricultural produce, spices and handicrafts. There are several gardens, temples and places of religious importance in Biratnagar. Gopal garden, located near Hathkhola and Hridreyandra Bal Udhhyan near Thulo Mill are two main gardens. Temples have been the jewel of Biratnagar. They are decorated in vibrant ways to make them attractive. The Koshi Tappu Wildlife Reserve famous for its wildlife, especially for bird-watching enthusiasts, is a 90-minute drive from the city. It is home to the endangered wild buffaloes called "Arna" in Nepali. The largest rhododendron forests of Tinjure, Milke and Jaljale can be reached in about 3–4 hours. Scenic treks with views of Mt. Makalu and Kanchenjunga can be started from the small towns of Basantapur or Tumlingtar. The beautiful tea gardens of Ilam are just 4 hours' drive away. Another place of interest is the hilly district of Dhankuta with its orange orchards. Dharan is (40 km to the north of Biratnagar); Itahari is 20 km north of Biratnagar . These places are famous for Taltalaiya, Ocean Park, Gokulam Resort, Dantakali Temple, Pindeshwor Temple, Budha Subba Temple and Panch Kanya, and are surrounded by hills; Bhedetar is a famous viewpoint. Biratnagar is equally famous for its high-spirited festival celebration. In Dashain, Nepal's biggest festival, a large number of people including young persons visit the Kali Mandir, a temple that lies in the heart of the town. Also famous is Tihar, festival of lights, when the residents line their homes with Diyo (earthen oil lamps), candles and decorative electrical lamps during the two days of celebration; decorations on the main road include the use of banana trees and bamboo in all shops. Firecrackers are banned in Nepal and are strictly prohibited during Tihar, but smuggling them in during Tihar is very popular. Krishna Janmashtami (Krishna's birthday) is a festival that is heavily celebrated in Biratnagar. Thousands of people gather on the second day of Krishna Ashtami to pull the Holy Cart (Rath) which goes around the city the length of which is approximately 8 km. This event is termed the Rath Yatra (the Cart Journey). It is the largest rath yatra in Eastern Nepal. Traffic will be halted for five to six hours on that day. It is believed that the Holy Cart (Rath) was driven by Lord Krishna. So, people keep a young child in the Holy Cart as a symbol of Krishna and pull the cart with joy to celebrate the Lord Krishna's birthday. The Rath is very big and heavy and needs hundreds of persons to move it. Mostly the recruits of the Nepalese Army are recruited to pull the heavy cart. It has an engine to run if required to move fast, and it has brakes to stop, as it has to stop at many places to allow people to worship the Lord. Some people stay on top of the Rath to distribute prasad (holy fruits) to people. The Holy Cart will be followed by many smaller carts which are pulled by oxen. People in the smaller carts play music and sing hymns of joy and happiness. It is the most important festival for the people of Biratnagar. So, almost all the schools and offices close after 1 p.m. to let the believers and spectators attend the Rath Yatra (Cart Journey). Chhath (Devanagari: छठ, छठी, छठ पर्व, छठ पुजा, डाला छठ, डाला पुजा, सुर्य षष्ठी) is an important festival for Madheshi and Bihari Hindus, nowadays observed by all the Hindu communities. It is the only Vedic festival dedicated to the Sun God, Surya; Chhathi Maiya (ancient Vedic Goddess Usha) is also celebrated in Biratnagar. The Chhath Puja is performed in order to thank Surya (the sun) for sustaining life on earth and to request the granting of certain wishes on the banks of rivers and ponds. On the pooja day, they collect fruits and prepare thekwa (sweets made of wheat) with great respect to Surya (the sun). Some people fast for two days prior to the pooja and break their fast by drinking water after the ritual is over. Chhath is considered to be very pure and the pooja is performed with infinite respect to Surya, the Sun. Chhath can be observed on the Singhiya River and the Keshalia River in Biratnagar. Beautiful views of the river are seen that day. Eid al-Fitr and Eid al-Adha are the festivals celebrated by the Muslim community of Biratnagar. Christmas is celebrated by a very small population of Christians. Krishna Prasad Koirala was the first major political leader based on Biratnagar. His sons Matrika Prasad Koirala and Bishweshwar Prasad Koirala were the Prime Minister of Nepal during post democracy era. Since then Biratnagar has always been a fertile ground for emerging as well as established politicians. Girija Prasad Koirala, the man who was elected prime minister the greatest number of times in Nepal, made his home in Biratnagar. He was Prime Minister of Nepal four times, serving from 1991 to 1994, 1998 to 1999, 2000 to 2001, and from 2006 to 2008; and he was Acting Head of State from January 2007 to July 2008. Man Mohan Adhikari, the first Communist PM of Nepal was also from this city. Leaders like Bharat Mohan Adhikari, Sailaja Acharya, Sushil Koirala, Bharat Mohan Adhikari, Lal Babu Pandit, Amod Prasad Upadhyay and Mahesh Acharya all come from this city. Biratnagar is the politically most active city in the modern history of Nepal. The historical first Nepalese airplane hijack 1973 Nepal plane hijack, which was to fund the political revolution, took place at the Biratnagar Airport. The hijack plan, masterminded by Girija Prasad Koirala, was executed by Durga Subedi, Nagendra Dhungel and Basant Bhattarai. Biratnagar is the center of education in the Eastern Development Region of Nepal. Home to the Purbanchal University, Biratnagar has a number of good colleges and educational institutes including medical and engineering institutes.The medium of teaching is English in all the private schools, colleges and universities whereas Nepali is the medium of instruction in government schools up to secondary level. Along with this, the quality of education of Biratnagar is improving at a rapid rate. Biratnagar has been the ground for many literary personalities: Dev Kumari Thapa, Bal Krishna Ppokhrel, Bhanubhakta Pokhrel, Parshu Pradhan, Kabiraj Neupane, Dadhiraj Subedi, Biwas Pokhrel, Nawaraj Subba, Sima Avas, and others. Some of the prominent books in Nepali literature have emerged from Biratnagar. Landmark books in Nepali poetry, Bholi Basne Bihan by Krishna Bhushan Bal and Jeevanko Chheubaata by Suman Pokhrel were created in this city. There is a popular culture of poetry recitation in regular sessions in various locations of Biratnagar. Melas (fairs) are organized at various times of the year where people come to enjoy rides and swings. Although very few national tournaments are organized here, regional soccer tournaments can be observed in the city stadium ground. There are recreational parks, movies, and libraries in the city. A new cricket stadium is being developed in an area of 17 bigahas. It's a good opportunity for the development of cricket and is developing rapidly. Article Reference 1. Biratnagar got its present name in 1919 AD from Keshar Shamsher Rana after objects of historical importance, believed to be of King Virata’s time, were found. The region is believed to be a part of the kingdom of Virata, mentioned in the Mahabharata. The ruins of the palace along with stone carved tools, idols and household objects can be seen protected in southern part of Biratnagar at Bhediyati, Buddhanagar VDC. In Nepali “birat” means huge and “nagar” means city. 2) The region was made district headquarters of Morang in 1914 A.D. transferring from Rangeli by then Governor of district, Colonel Jit Bahadur Khatri. It was also then developed by next Governor Shiva Pratap Shumsher Thapa. 3. Nepal’s first Large Scale Industry, Birat Jute Mills lies in this city. On March 4, 1947 the first anti-rana movement in Nepali soil took place in here as Birat jute mill strike under the leadership of Girija Prasad Koirala along with Bishweshwar Prasad Koirala. Then after it sparked a countrywide anti-Rana demonstration that finally led to the abolishment of Rana rule in Nepal. 4. The first and the historical aeroplane hijack which was to fund the political revolution also took place at the Biratnagar Airport. The hijack plan masterminded by Girija Prasad Koirala. 5. It is the biggest Industrial City of Nepal and has the second biggest Industrial Corridor containing some of the largest Industries and Factories of the nation. 6.There are more than 80 Schools, More than 20 Colleges and 21 Hospitals in Biratnagar, most after Kathmandu. It is the center-hub for Education in Eastern Nepal.